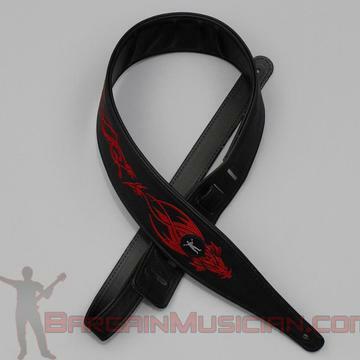 - Leatherette guitar strap with embroidered tribal dragon. - Width is 3" at the widest point. - Adjustable length from 43" - 53".